US 41 from Salford Boulevard to Sumter Boulevard: Construction project: Crews are widening US 41 from Salford Boulevard to Sumter Boulevard to a six-lane highway; resurfacing the roadway; improving drainage; constructing sidewalk, and installing highway lighting. 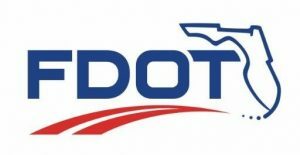 Motorists should expect nighttime/overnight lane closures on Sumter Boulevard at US 41 from 8 p.m. each night to 6 a.m. each morning beginning Monday, August 20 through Friday, August 24. Expect nighttime/overnight lane closures from 8:30 p.m. to 5:30 a.m. when crews are resurfacing the roadway. Expect periodic driveway closures along the northbound lanes while crews are installing drainage systems. Russell Engineering, Inc. is the contractor. Expected completion is spring 2019.